Ciao friends! I’m just arriving back in the States from a trip to Italy. I’m not exactly much of a world traveller, but a good time was had. While I enjoyed the majority of what I saw, I also observed a few major usability fails that I wanted to bring up. Give the blog a little international flair. 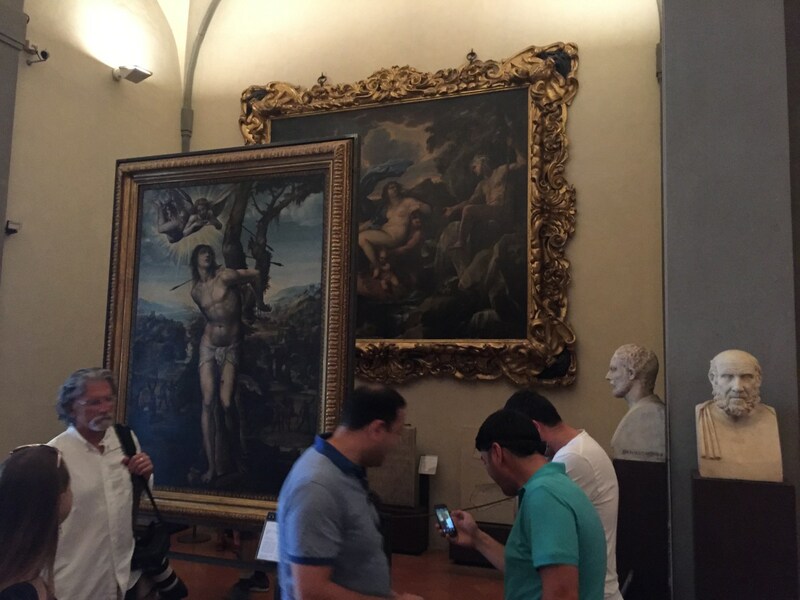 The Uffizzi Gallery in Florence is home to amazing works of art. The main point of interest for me was Botticelli’s The Birth of Venus. It lived up to the hype. However, going through some of the other galleries, I observed this. These are two pieces of art basically stacked on top of one another. There was a similar display on the other side of the room. It may not seem like a big deal, but these are large works that need to be observed not just up close, but also from a distance to truly take them in. The work in the back — the name of which I can’t remember — is nearly impossible to observe at the proper distance to appreciate it. You have to walk behind the piece in front. I’m by no means an art aficionado, but this seems to be a large fail by the gallery. There’s a feeling you get walking around the roads of Italy, a feeling that your life is no longer in your hands. Roads lead to piazzas — open air plazas — which often times have no demarcation between pedestrian areas, car areas and even lanes. These leads to some very awkward situations and the occasional harrowing journey to the other side. The other issue we ran into with the roadways in Italy (mainly Rome and Florence) was navigation. 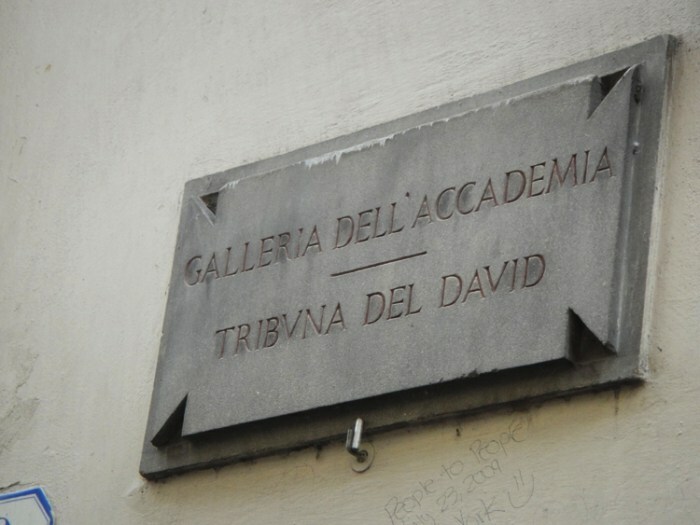 The street signs, when they existed, were cement signs put on the sides of buildings. This definitely looked nice, but was very hard to see. These signs fade into the background of most buildings on which they reside. It took us a couple days to get used to it, and even then it made finding our way around incredibly difficult. Overall, the trip was awesome, just found it interesting to see some UX fails from the real world overseas. 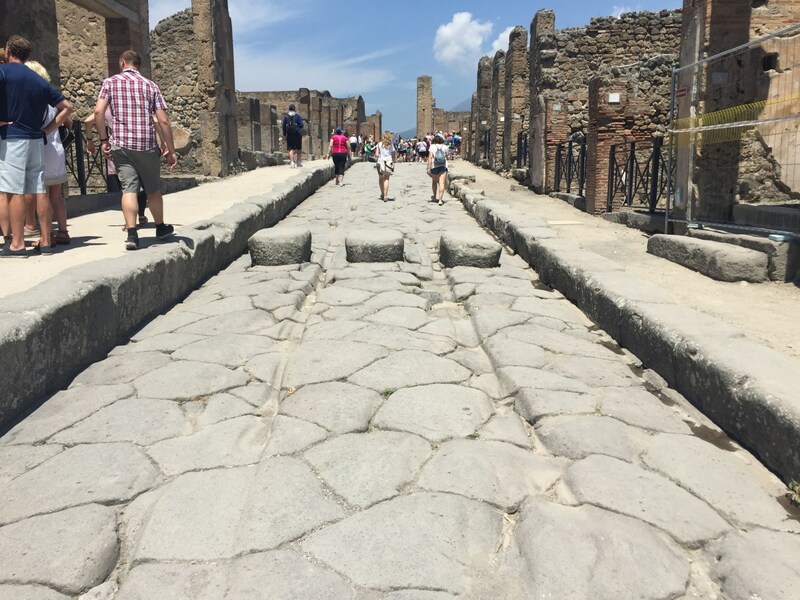 We took an amazing tour of Pompeii and saw the city that was destroyed by Mount Vesuvius. One great accomplishment was on the main road through town. It acted as a road for chariots AND for the sewage to run down. This required a way for pedestrians to get across without walking through the refuse, but also needed a way to slow the chariots down as they came into the populated areas of town. Enter an amazing Roman-designed speed bump. It has channels through which chariot wheels and sewage can pass easily and acts as stepping stones for pedestrians to cross the street without needing to bury their feet in some nasty liquids. In this tutorial, I'm going to show you how to take one of the most common tropes of web design -- the card grid -- and make it fluid. Our design trends are about to get a facelift. Grid Layout is coming in the next release of modern browsers. It's important to get a grip on its utility. Let's take a common trend in editorial and marketing design - the "cover page" banner area.